A brilliant travel choice - the Kalahari quick dry pants. These practical yet stylish trousers are permanently sun-protective and insect repellent, as well as going from wet to dry in a flash. 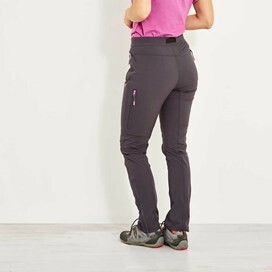 Perfect for all day comfort, the Kalahari features an adjustable waistband combined with a little bit of stretch in the fabric, resulting in a superb fit and impressive hot climate performance. I thought the kalahari walk pant was gorgeous. Great fabric, good colour, good design and super fit on me (a standard size 14) Sadly I had to return them as they were too long for walking (with flat shoes/boots). I am 5foot6 and regular in most mainstream brands. I shall buy again from Weird Fish because of the quality. Very good quality trousers, a little on the long side, but not too much, my inside leg is about 29" and once I have my boots on they are okay. 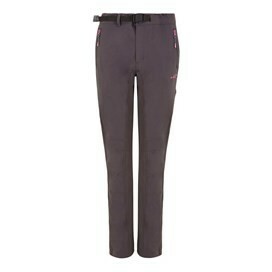 I work outdoors on a reserve and I struggle to find ladies work trousers for a small frame, so these are great. Just love these so much. They fit really well and are very comfortable. I like the shaping darts at the knee so when I sit down or bend they don't restrict me. The pockets are. Great for when I'm walking my dog to put doggie poo bags in and other necessities into without the need for a bag. I like the Zips at the side that allow for putting on walking boots . Just love them! Also I bought in sale with extra discount so I've bought two pairs! Brilliant! Neat fit. Lots of pockets. Love them!